Profile: At secunet, more than 400 experts focus on security topics such as cryptography (SINA), e-government, business security and automotive security with the aim of always staying one step ahead of the competition in terms of quality and technology. 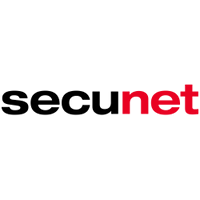 Over the last two decades, secunet has emerged as an innovative market leader in Germany and Europe, offering trusted, high-quality solutions and products, all of which are designed to meet the complex challenges of today and tomorrow. Services range from analysis to consulting, conception, development and integration of software and hardware solutions to training and support. In relation to our numerous national and international customers, secunet relies on long-term partnerships. The security partnership with the Federal Republic of Germany since 2004 underlines this impressively. Expertise and Role in CONCORDIA: SECT will participate in all WPs and will be involved in the consulting conception and development of cryptography, e-govenment and business security concepts and training.